Well known in the 1970’s and 1980’s for the clear detailed lines of her colorful watercolor paintings, Nell Melcher’s work continued to evolve. She added several new styles throughout the years including a controlled detailed style, a soft ethereal style, and most recently, a study of trees in pen, colored pencils, and watercolor. 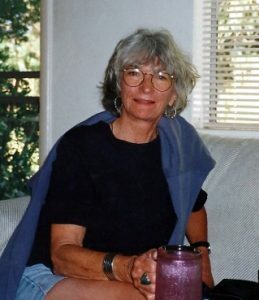 Among her many achievements were being selected by the San Francisco Museum of Modern Art for a holiday postcard, teaching at the California Academy of Sciences, selling greeting cards and posters internationally, and hosting well over fifty solo exhibits. We hope you enjoy viewing or purchasing Nell Melcher’s art that her niece is offering for sale. Nell was a prolific, versatile, and talented artist. From time to time as images sell, new ones will be added until the inventory is depleted. This site has been carefully and respectfully created honoring my aunt and her works. Every effort has been made to show her art as true to life as possible. If you have any questions, please email nellsart@aol.com, and you will receive a timely reply.